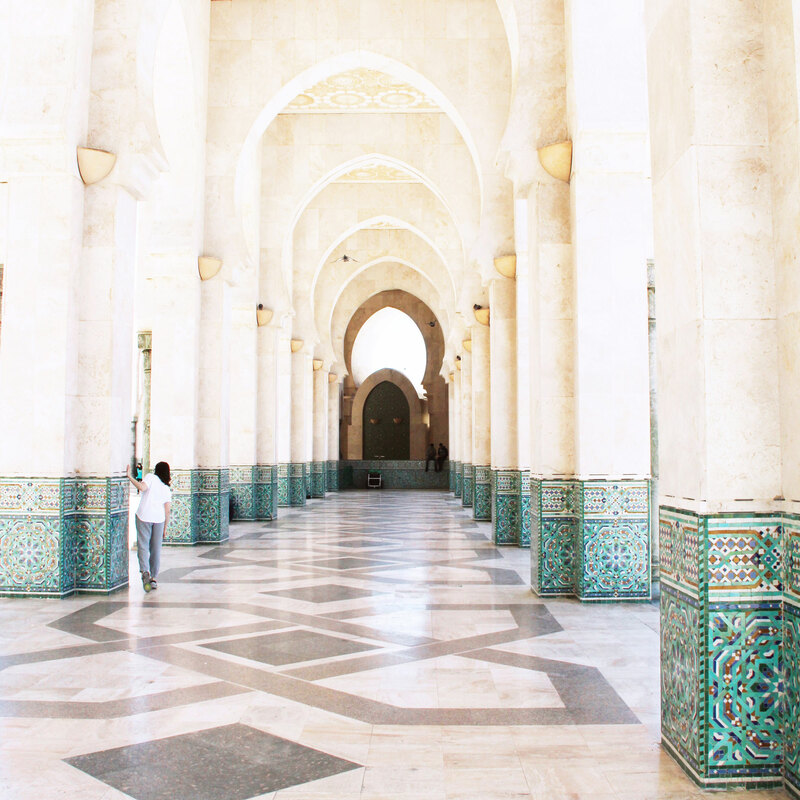 We’re huge fans of artisan-made textiles. There is an incredible amount of skill and dedicated time that goes into the production process of these handmade pieces: Handspun fibers, natural dyes, stitches sewn with simply a needle and thread, weaving in a rhythmic pulse that uses every muscle in the body. 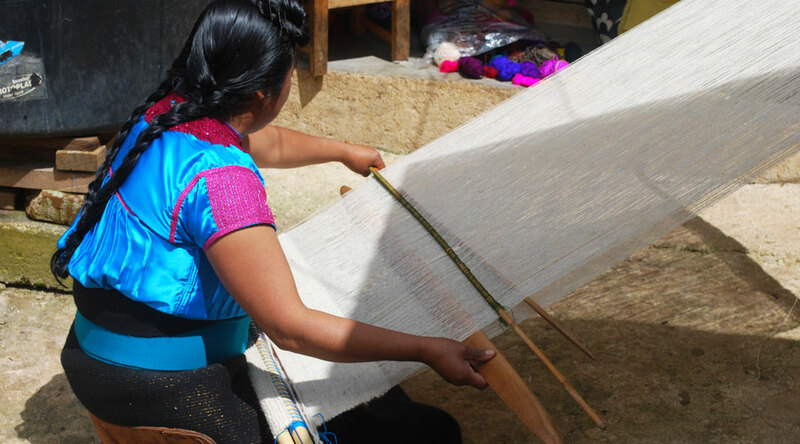 Artisan weavers in Chiapas and Oaxaca, both southern states of Mexico, are specialists of weaving on a backstrap loom. 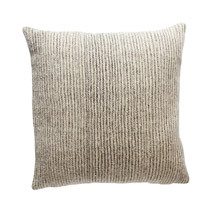 Our latest collection of pillows – The Chiapas Wool Pillow in Grey Stripe and the Chiapas Wool Pillow in Ivory – features their detailed and handmade work. They create each wool textile panel from scratch. 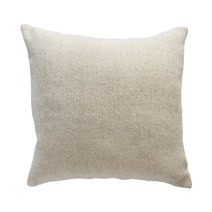 Each one takes 8 to 10 days to produce, and one panel yields just three pillows. Our artisan partners have graciously offered to outline the steps they take to create each wool textile for us. We love catching a glimpse into these artisans’ step-by-step process, and we hope you will enjoy it, too! 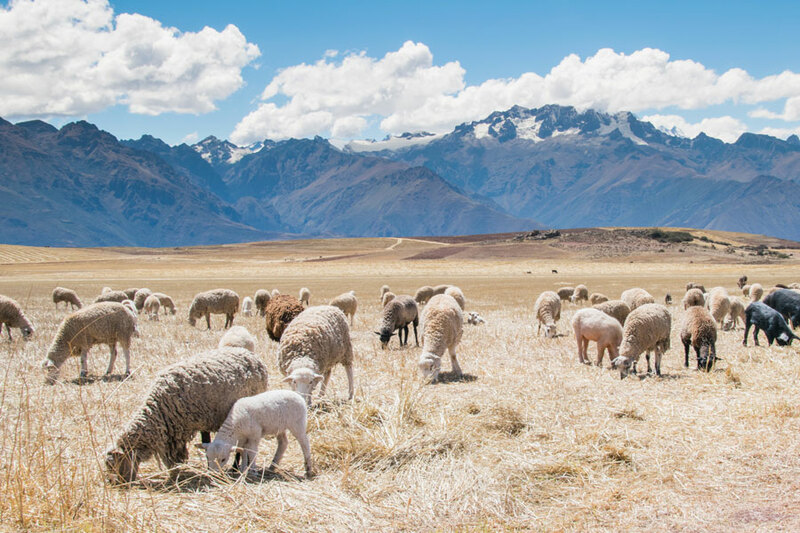 Sheep are valuable property in the highlands of Southern Mexico. Given this, these animals are treated with respect and care. Some artisans own their own sheep, which they shear for wool to use in their own projects, or sell in the local markets by the kilo. 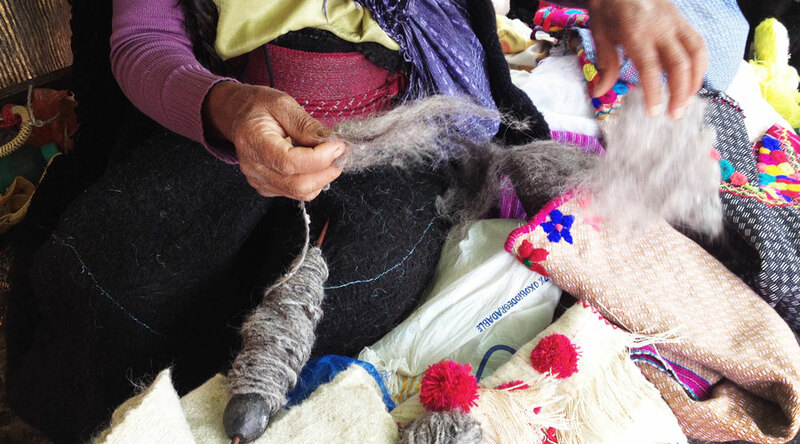 Artisans purchase wool in its raw form. To prepare the wool for weaving, the first step is to carefully wash it by hand with a mild soap in cold water. Our partners then place the wool in the hot sun to air dry. Once the wool is dry, artisans gather it into a basket and clean it by hand. This process is known as carding. 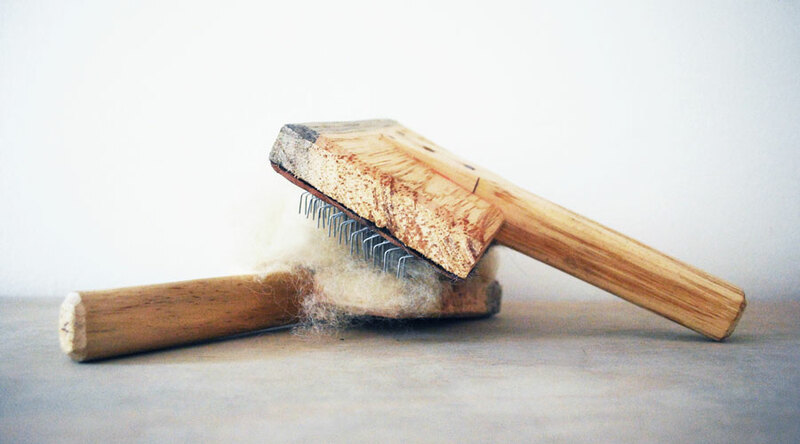 Using two rustic wooden paddles with thin metal teeth, they place the wool between the paddle and brush it. By carefully pulling one paddle across the other in a repetitive motion, artisans are able to remove any debris and fluff up the fibers. These handmade rustic wooden brushes are used to clean the raw wool between metal teeth prior to spinning it on traditional drop spindle. While wooden spinning wheels are used in some parts of Mexico, this particular region goes the traditional route by using a portable drop spindle. The spindles consist of a handmade wooden dowel with two pointed ends. On one end is a ceramic ball made from local earth with a hole through the center. This base serves as an anchor for the spindle and helps to provide balance during the process. To spin the wool into a fine thread, the artisan introduces the newly carded wool in small handfuls that are skillfully applied to the spindle with one hand. The other hand rotates the wool between thumb and index finger. As the wool twists, this spinning motion sees a growing length of wool gradually wind around the stick. 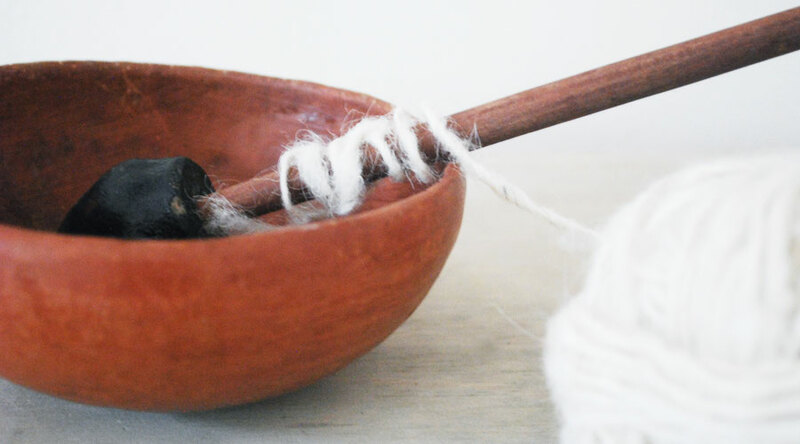 Our artisan partner walks us through her wool spinning process. While some artisans need a hard, flat surface to work on, she simply used a stack of her own handwoven textiles. Thicker wool requires a shorter spindle, with the artisan twisting the wool tighter as she introduces it to the stick. In order to keep the spindle moving smoothly, some artisans use a ceramic or wooden bowl as a surface for the base of the spindle, while others simply use whatever is in front of them. A traditional drop spindle from this region of Mexico involves a long pointed wooden stick with a handmade ceramic base. Artisans wind the wool around the stick to prepare the fiber for weaving. The ceramic bowl pictured here serves to steady the base of the spindle as it turns. Once there is enough wool spun and ready to go, the artisan is ready to start weaving. 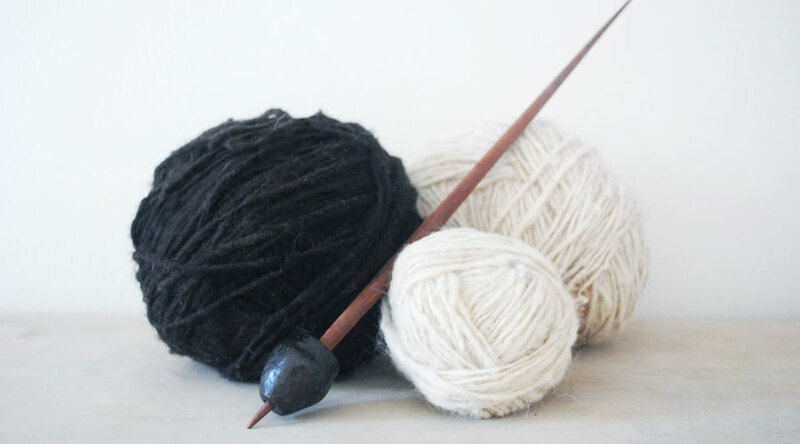 These beautiful balls of natural, handspun wool were spun by our artisan partners on this traditional drop spindle. Every kilo of wool takes roughly 15 days to prepare – from washing to carding and spinning. 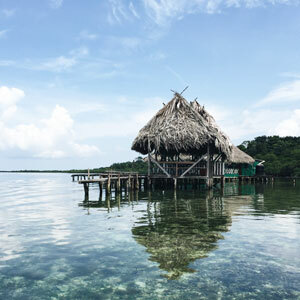 Our artisan partners in this region are masters at weaving on a backstrap loom. This type of loom gets its name from the way it is attached to the weaver’s body. At one end, the artisan ties the bottom of the loom around her lower back using a wide leather belt. On the other end of the loom, the weaver attaches it to a fixed and sturdy object such as a tree. Our artisan partner demonstrates her process of weaving on a backstrap loom. To make the textiles that we use in our line of wool pillows, the artisan prepares the backstrap loom with a warp of ivory wool that she stretches vertically. To create tension on the loom, she leans back, forward or to the side as needed. This part of the process requires both practice and patience to master the right amount of tension required to weave the threads together. Our artisan partners wind the handspun wool for the weft around the shuttle, which they guide through the piece by hand. After every new row is complete, the artisan tightens the weave with a flat wooden piece known as a sword. Once the piece is complete, the weaver ties it off and removes it from the loom. The final step of the process involves washing the handwoven piece in cold water and hanging it to dry. This helps to tighten the weave, but also causes the piece to shrink – sometimes substantially. It is then hung to dry in the sun. It takes over one week and sometimes more to complete just one textile panel. Not a speedy process, but definitely worth the wait, as these heirloom-quality textiles are as durable as they are beautiful.